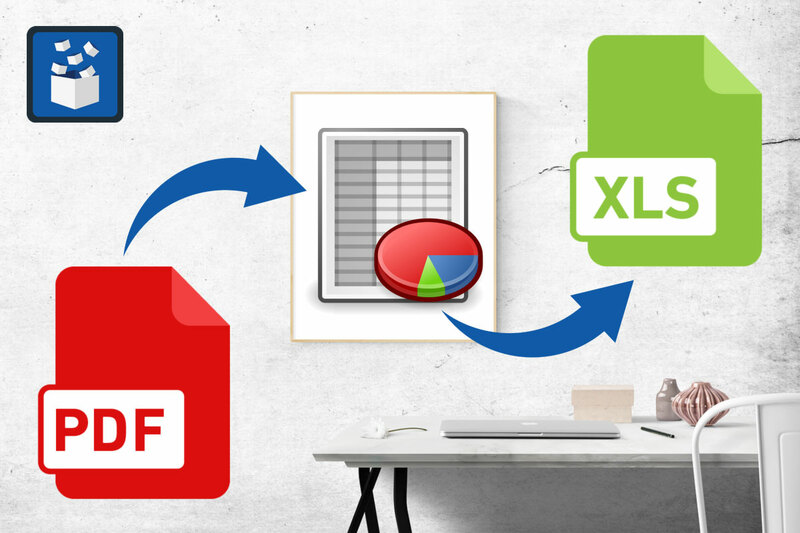 With the countless number of PDF converters out there, converting a PDF to Excel isn’t a rocket science. Although, admittedly, getting a custom-tailored conversion output can be a challenge. For example, what if you want to extract only tables from PDF to Excel and exclude all other content, like paragraphs of text and visual elements? Most PDF converters will turn everything into Excel and then you’ll need to spend extra time cleaning up the resulting spreadsheet. But, not all of them! 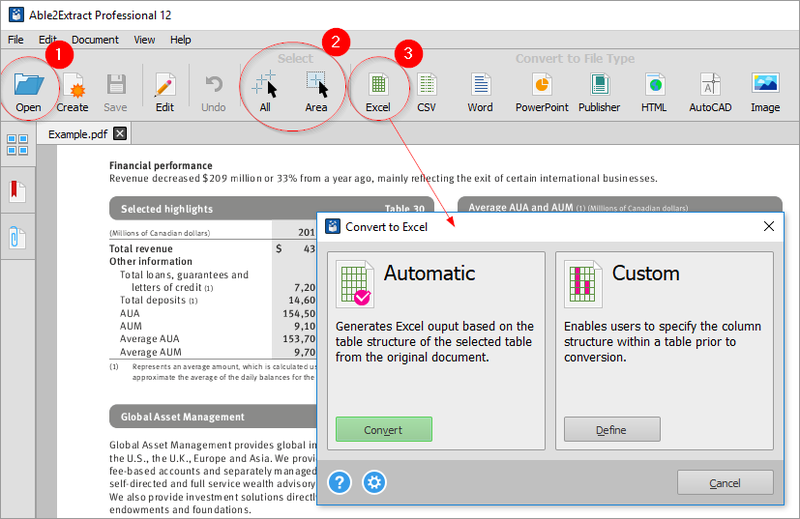 Able2Extract Professional, designed with the Excel user in mind, allows you to specify exactly what you want to convert from PDF to Excel. Open the PDF in Able2Extract by clicking on the Open button in the main toolbar. Browse and select the PDF file for conversion. Select the entire document for PDF to Excel conversion by clicking on the All button or specify a part of it by using the Area button under the Select section. Click on the Excel button in the Convert to file type section. Click on the Settings icon in the bottom left of the Convert to Excel dialog. 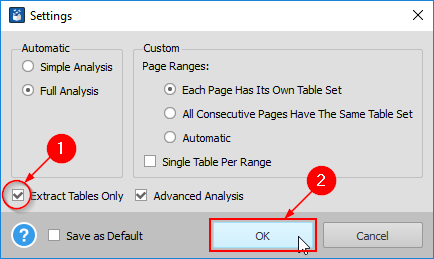 Check the Extract Tables Only box and click OK to confirm settings. Click the Convert button under the Automatic PDF to Excel option. Then choose the name and location for saving the converted spreadsheet on your computer. Able2Extract will convert only tables from PDF and simply ignore all other content so you can immediately start working with your tabular data. Why not try it yourself? It’s free!